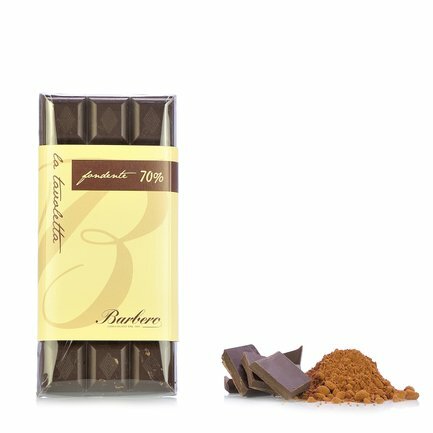 When you're looking for a quality piece of pure dark chocolate, look no further than the artisanal skills of Barbero confectionery. 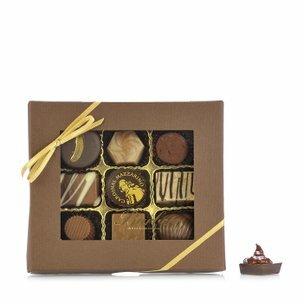 The firm chooses the best cocoa varieties and processes them skillfully to bring you the full authentic flavour of the world's favourite sweet at every bite. Ingredients cocoa, sugar, cocoa butter. Emulsifier: soya lecithin. Flavourings: vanilla. Allergens: soya. For more information on product labels, please contact our Customer Service department. The information on the labels of the products may vary for reasons beyond our control, therefore, there may be discrepancies between the information on the site and that on the products delivered. Please always check the information on the product before consumption or use. Cioccolateria Barbero of Cherasco, specialised in creating cocoa based products since 1881, offers a variety of chocolate made from cocoa sourced from several countries. Eataly chose Barbero because of the firm's distinction in sourcing excellent ingredients and its strictly artisanal production techniques.